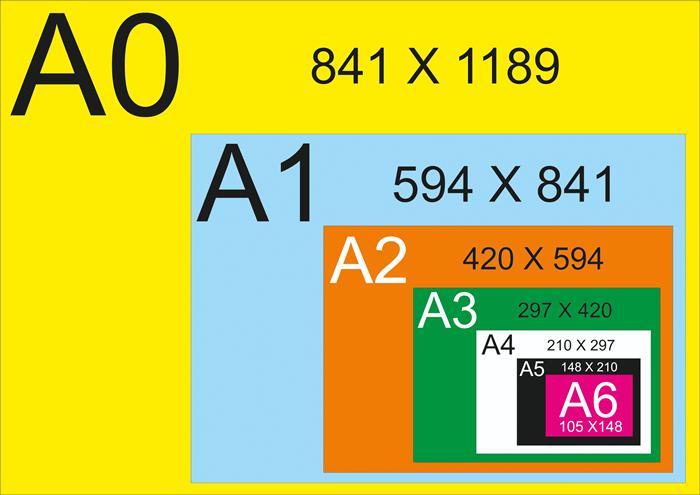 The international standard for paper sizes is ISO 216. We sizes such as A0, A1, A2, A3, A4, A5 to make it easier for you to select the correct product. We always uses millimeters (mm) in all measurements. Measurements mentioned in the description of a product are given in good faith but are not guaranteed as small variations can occur.